It's fair to say we are pretty chuffed with how this one is turning out! The lights have all come on at An Crubh, offsetting the cold winter skies and distant snowy hills with a warm glow. Suddenly the interior feels like a cosy and inviting space, waiting to receive the community and passers by. The next big step will be to see floor finishes, fixtures and fittings installed. Not long now till Christmas...! Its wonderful to see the building stripped of its shroud of scaffolding, revealing the architecture beneath. 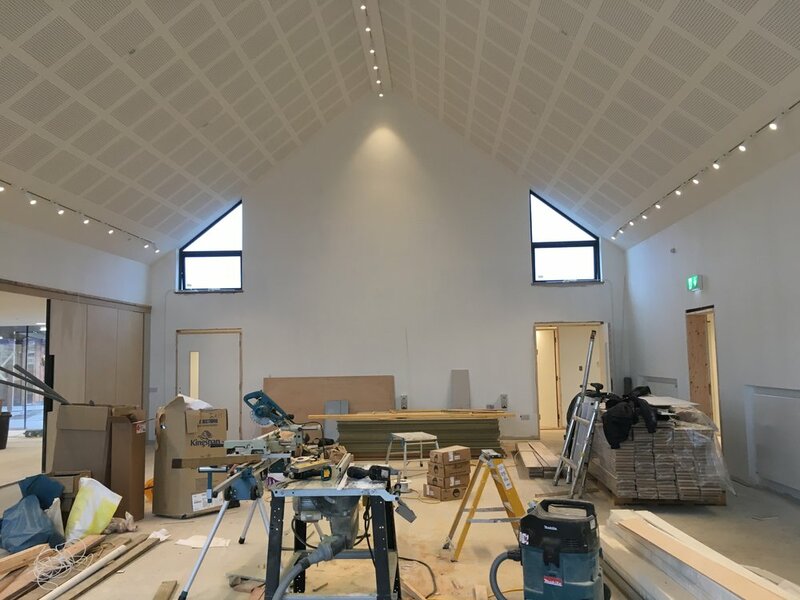 The low winter light is now able to pour into the interior, which is now decorated ready for floor finishes and furniture to be installed. 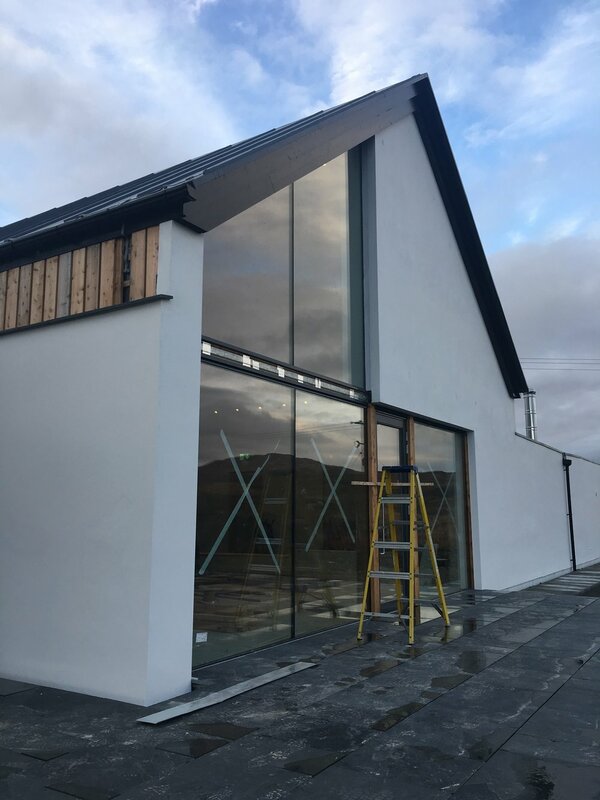 Good progress on Skye over the last month with big areas of glass going in making the building wind and water tight ahead of the inevitable autumnal weather. The roofing is now nearly complete and hopefully the scaffold will be coming down in the next few weeks. 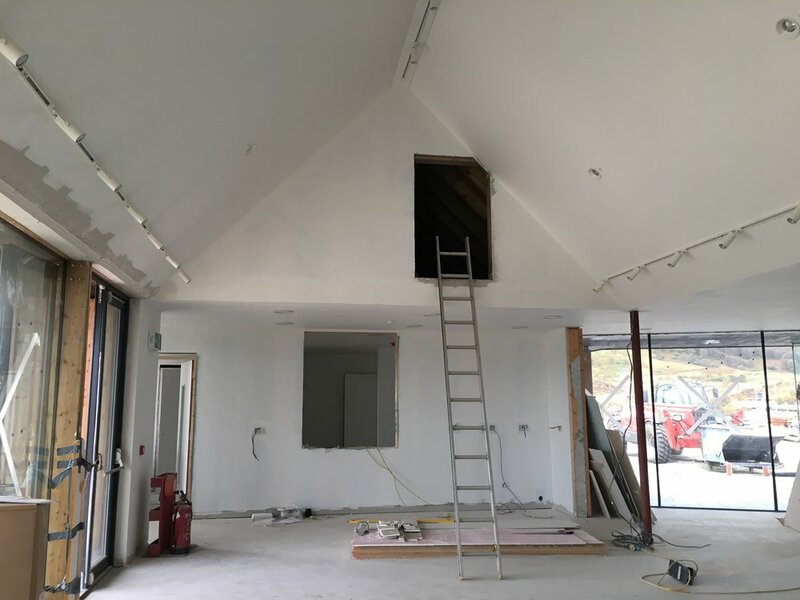 Parts of the inside are now ready for painting, and plumbing fittings are starting to be fitted. We’ve also had a community open day to which a good number of locals came, in spite of the rain. In spite of an inclement July and early August things continue to progress well at An Crubh. 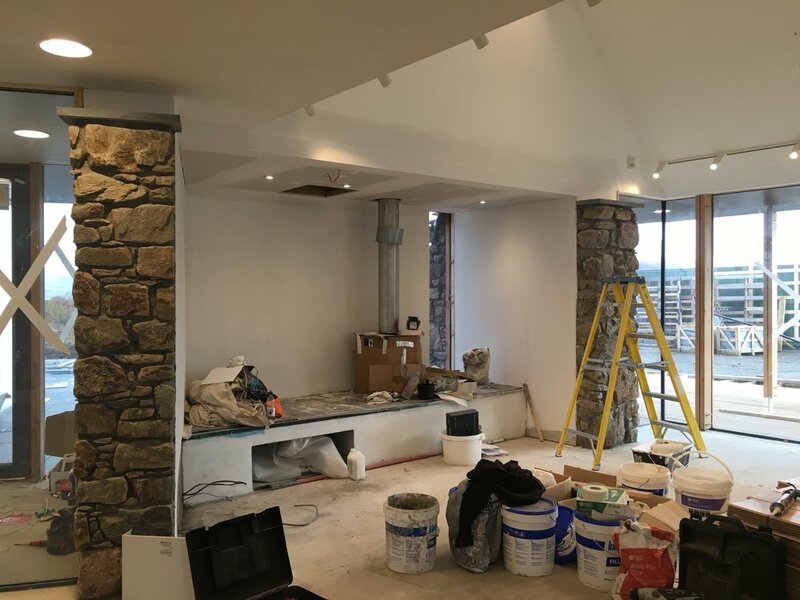 Linings are going up inside and more finishes are going on to the roof and the outside walls, which are a mix of stone, render and larch. The proprietary windows are in, with the bigger areas of fixed glazing being installed this week. Here’s to a dryer autumn! 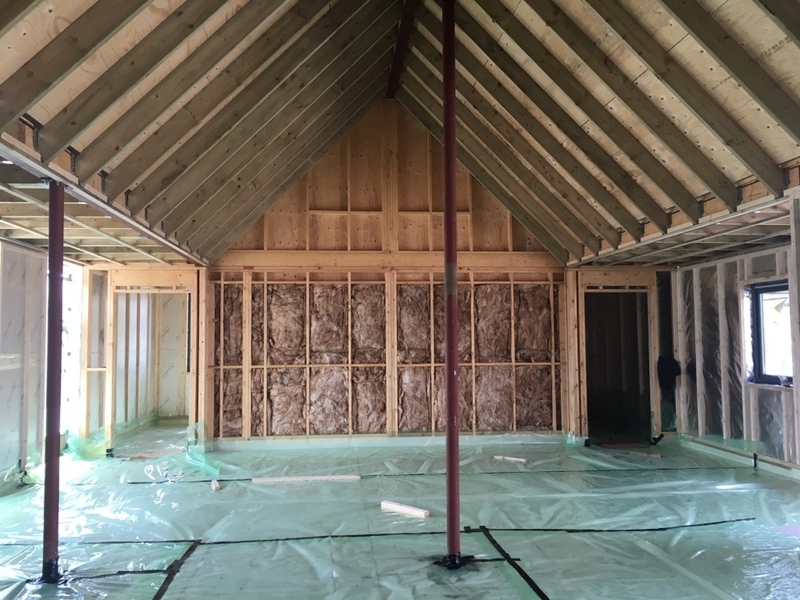 Since our last visit to Skye, the roof structures have been completed and wrapped in their silvery under-cloak ready for the outer waterproof layers to be applied. 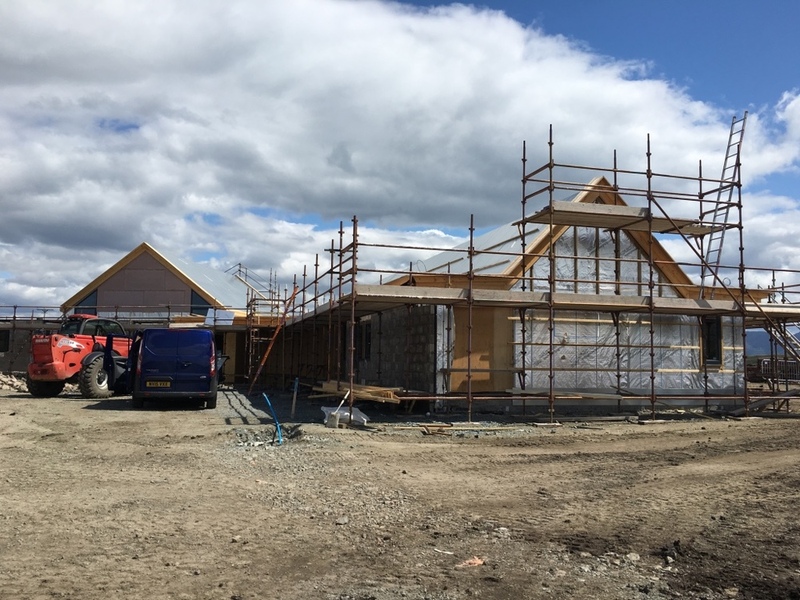 Other finishing touches to the roofs are starting to go on, including the timber boards and render panels at the gable ends. 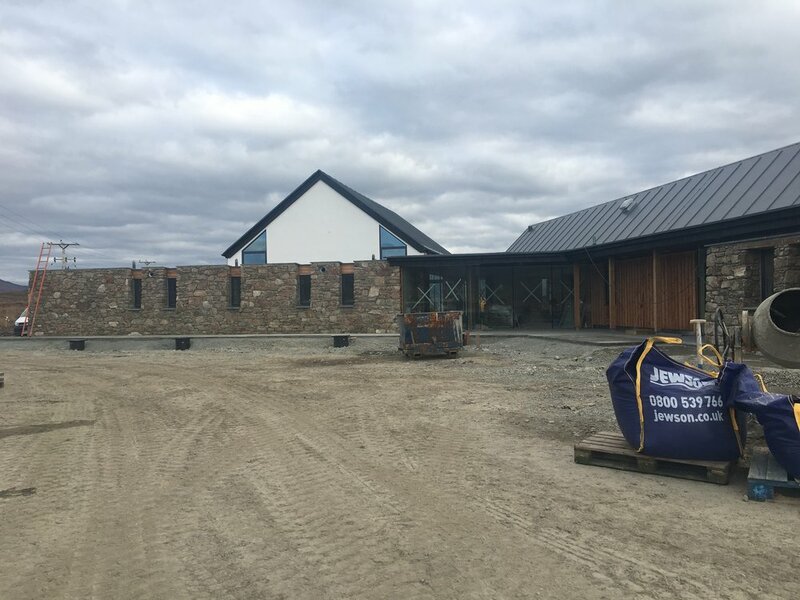 Down at ground level the very local stone, taken directly from the ground on which the building sits, is being expertly pieced together to clad the recently completed blockwork walls. 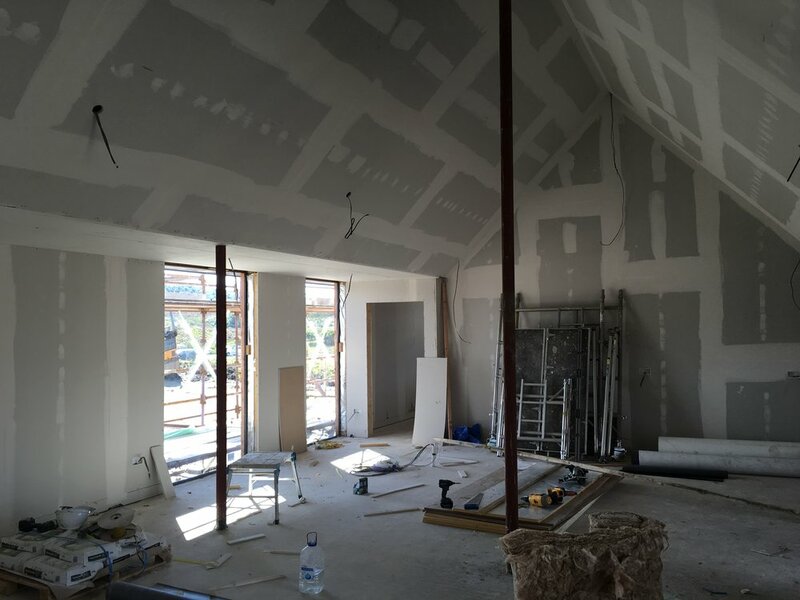 With the roofs now completed the form and character of the internal spaces are emerging. The squelchy bog around the building has been levelled, dried out and seeded with grasses and wildflowers - we hope to see these sprouting very soon if the sunshine continues. 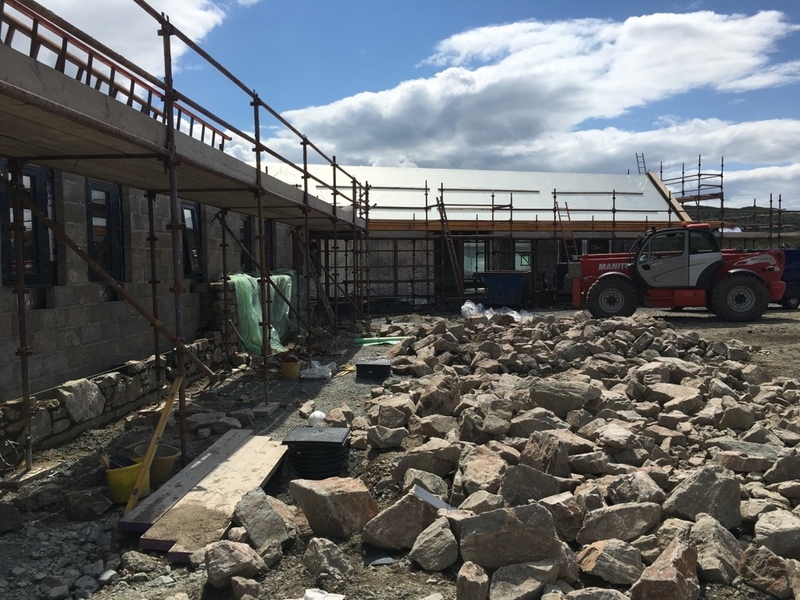 Skye continues to be blessed with fantastic summer weather which is helping Compass get on well with building the superstructure of the building. 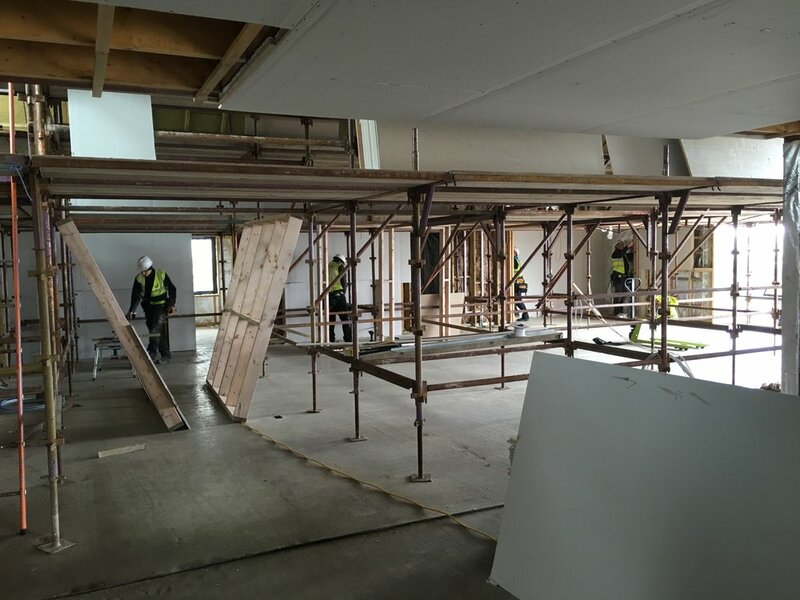 The final sections of roof are going on this week, and the first waterproofing being applied. 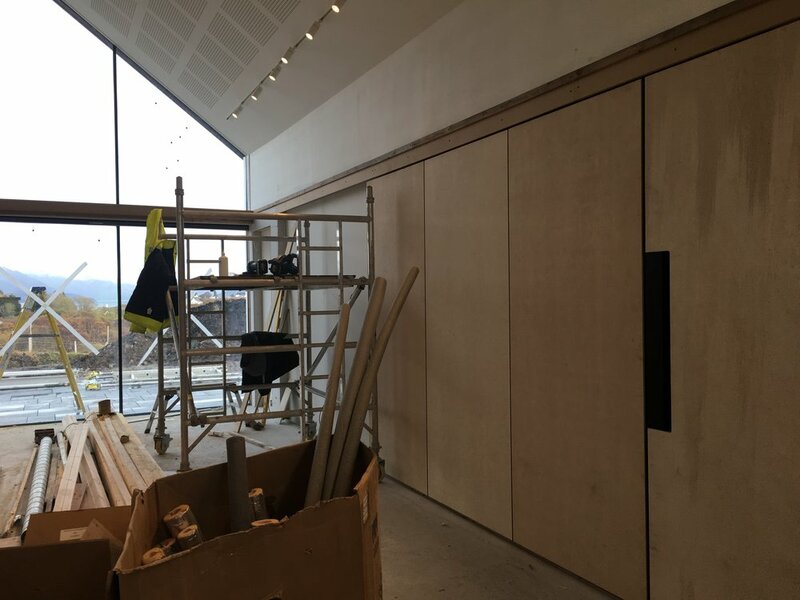 Pretty much all the timber walls are up now, and with some scaffolding coming down inside the spaces are starting to be revealed. 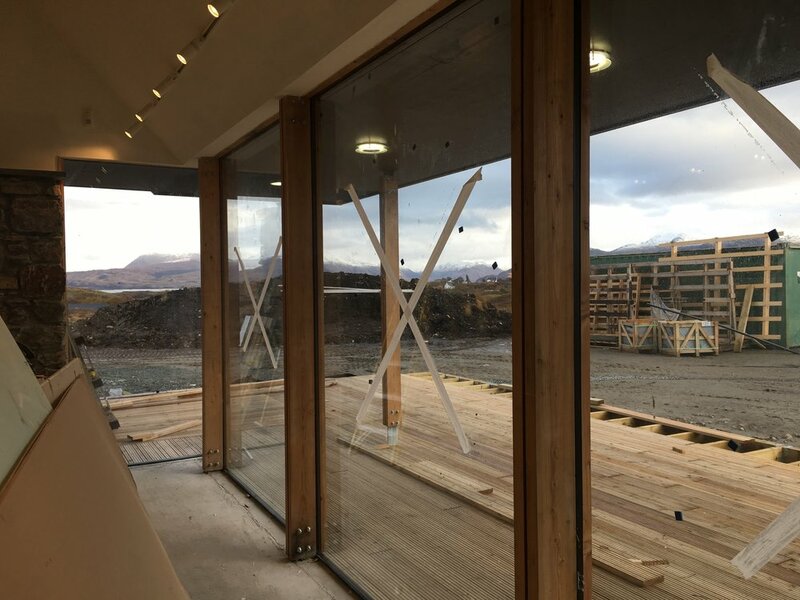 You can also see how the windows for the hall and cafe frame the views out to the mountains of Knoydart and Glen Elg. The once peaty and boggy site is drying out nicely in the sunshine now. 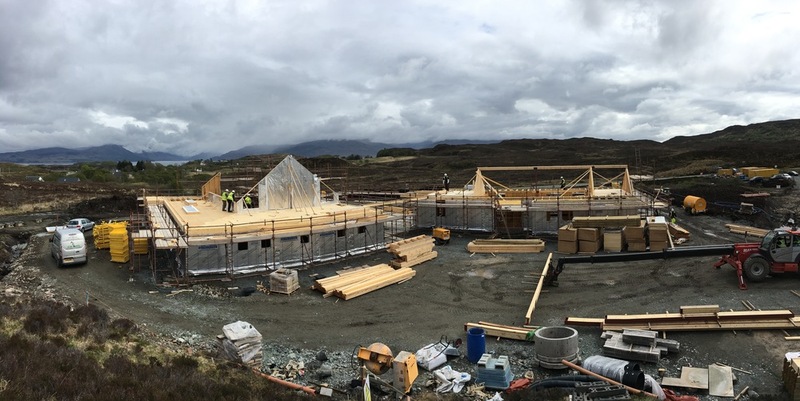 The main superstructure continues to shoot up on Skye. The last month has had snow and then temperatures in the high twenties, before settling down to a more typical Hebridean spring of sunshine and blustery showers. Most of the main frame walls are now up along with some sections of roof over the offices, toilets, shop and kitchen. 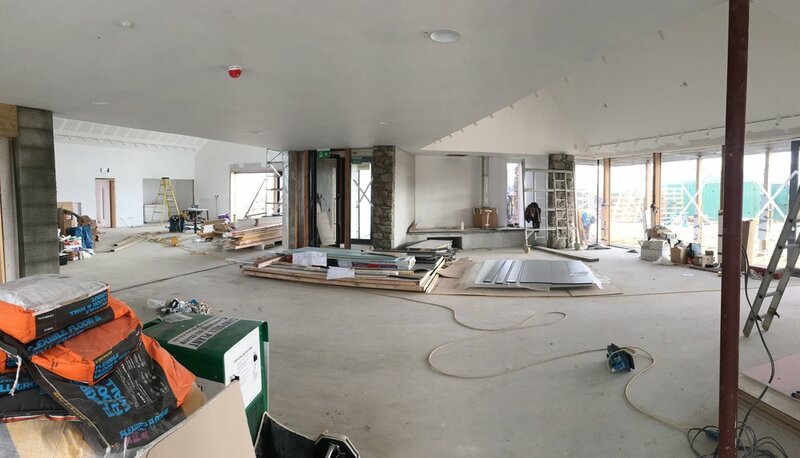 We are starting to get a sense of the spaces and the framed views out, particularly from the main hall where the big gable window will frame the view out past Ornsay lighthouse to Loch Hourn and Beinn Sgritheall. 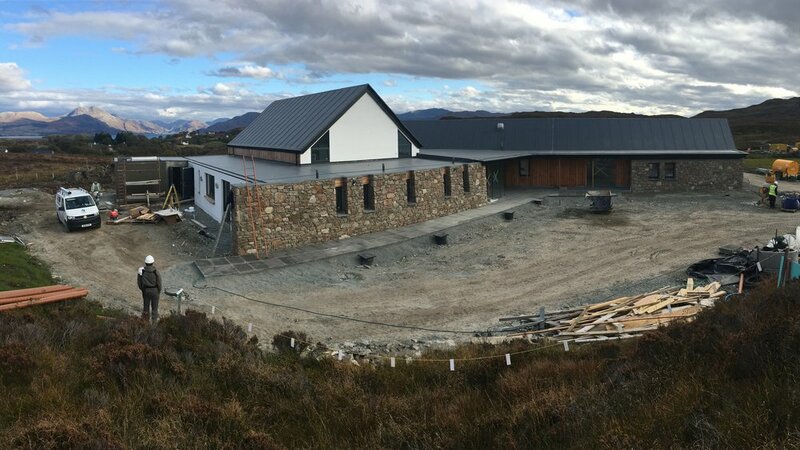 The Camuscross and Duisdale Initiative have been posting some great photographs showing the ongoing progress to An Crùbh community hub on Skye. Visit their Facebook page for more information and photos. 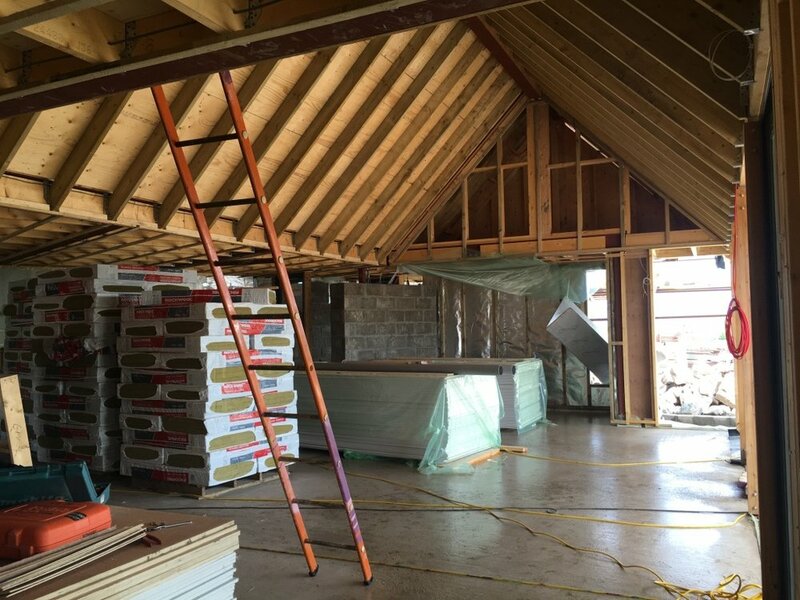 There has been an exciting step forwards in the past fortnight with the timber framed walls starting to be erected. 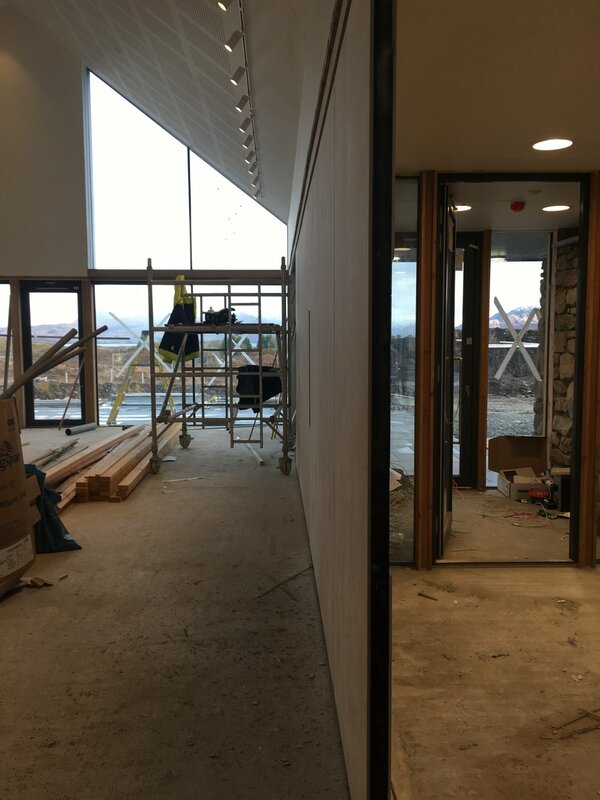 This is always an important milestone for a project, as the spaces of the new building start to become apparent and views are framed by window openings. Our community hub is slowly starting to emerge out of the peat! A huge amount of earth had to be stripped back to get down to sturdy-enough ground for the foundations. 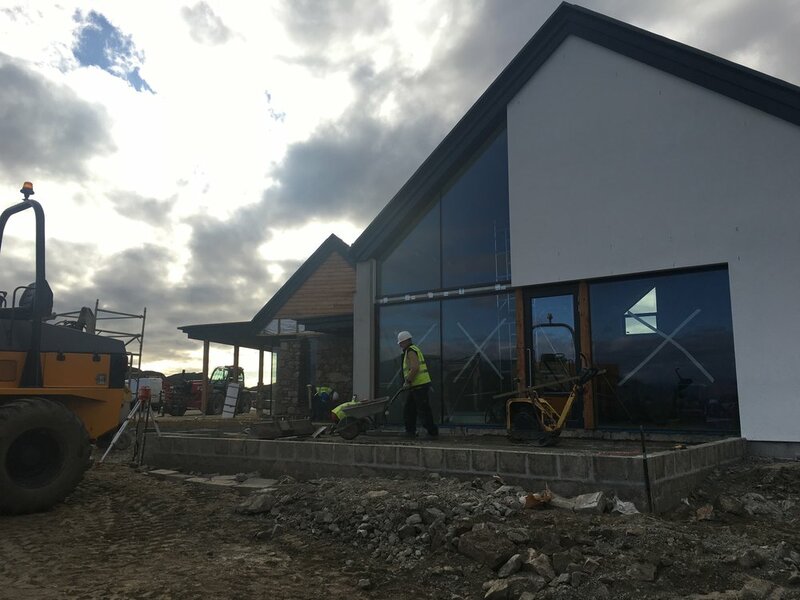 However, this has helpfully revealed a large amount of attractive stone, which is being put aside for use in the drystone walls around the new building. The foundations are now largely complete, and the next stage of the project will see the large pre-fabricated concrete floor sections installed. 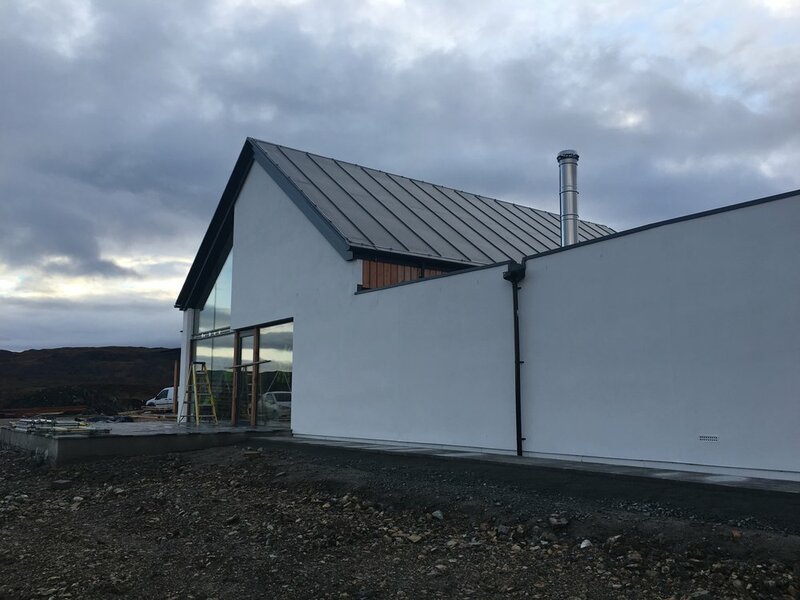 In the predictable mist and mizzle of a February morning on the Isle of Skye, WT Architecture were present at the inaugural site meeting for the construction of a special new building on the southern coast of this remarkable island. 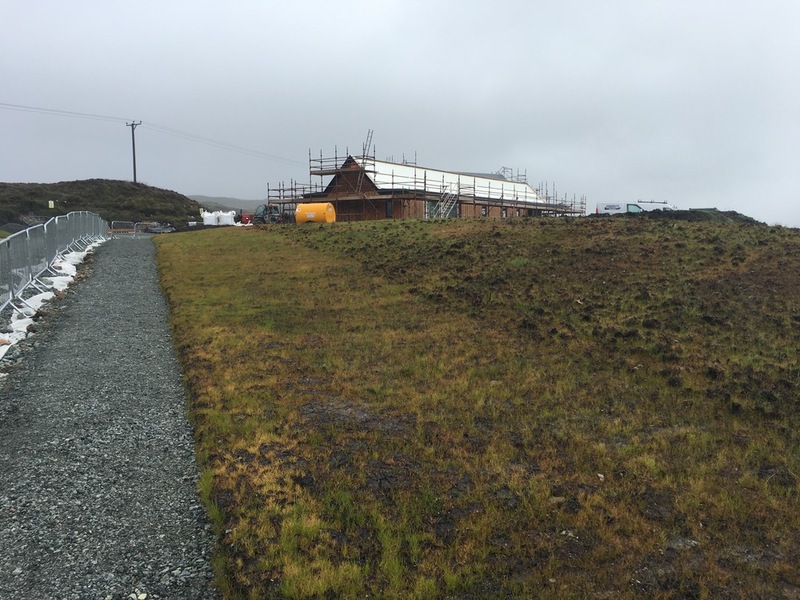 Although presently just a big hole in the ground and some stripped peat, the site will be steadily transformed over the next year by main contractors, Compass. 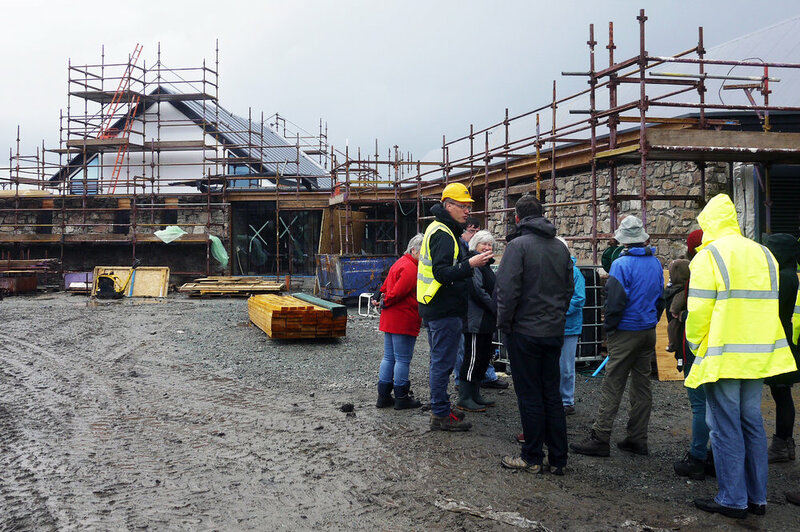 For over four and half years, WT Architecture have been working with the communities of Camuscross and Duisdale to help deliver their ambition to create a sustainable community hub for present and future generations. WT Architecture and our wider design team are incredibly proud of all the hard work that has led to this milestone, and we look forward to seeing our designs being implemented. 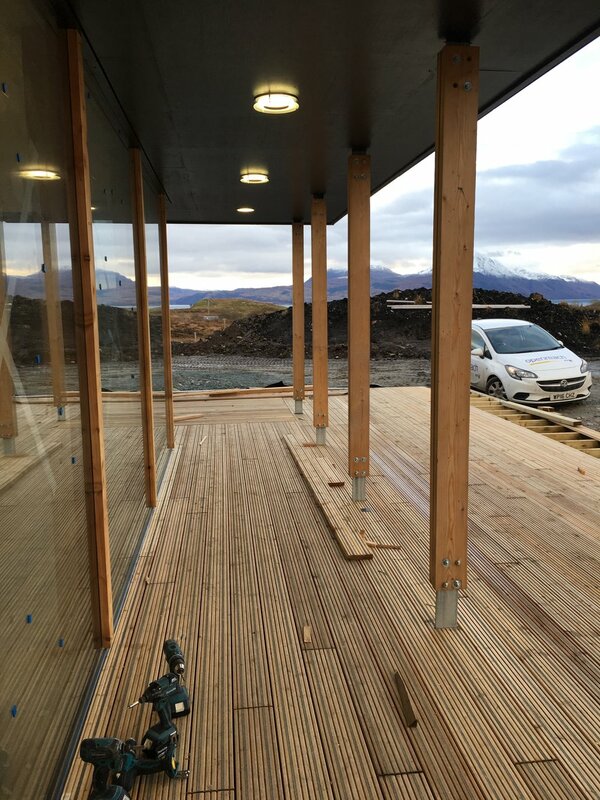 Senior Associate Architect, Tamsin Cunningham, who has led the project since its inception, will be making regular visits to the site; enduring the long drive as well as all the wind, rain, midges (and sunshine) that the west coast of Scotland will undoubtedly serve up. Be sure to visit this blog regularly for updates on progress throughout the construction phase. Visit the project page for more information on the work that has led to this point.